Join us this Saturday around 2/2:30PM at Rotary Rink in beautiful Downtown Buffalo. After skating we will be heading over to Big Ditch Brewery for some food and drinks around 3:30/4PM. Rotary Rink is located at Fountain Plaza (in front of the Key Tower) on Main Street between W Chippewa and W Huron St’s. Big Ditch Brewery is on E Huron and Ellicott St only three blocks east of the Rink down Huron. Rotary Rink was built in 1991 as a partnership between Buffalo Place (Downtown’s “Village” since 1982), the City of Buffalo and The Rotary Club of Buffalo. With the Rotary Club donated half a million dollars to the project. Skating at the rink is Free as Rotary wanted it to be accessible to all, and skate rentals are available for $2 for Children, $3 for adults. On street parking near Huron would be ideal to go to both the Rink and the Brewery. 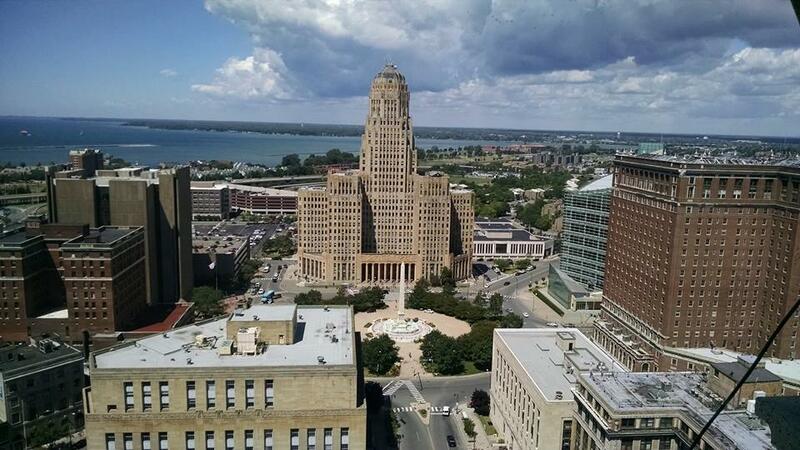 (Buffalo Place Parking Map) Both are close to the Metro Rail with a station in front of the rink (Fountain Plaza) if you are coming from the northtowns or City and would like to park and ride. To start 2016 the Members were visited by the Rotary District 7090 District Governor Dr. Kevin Crosby. We were able to discuss the vision for the District and the goals of the Club. Our Club is very grateful to DG Kevin for his continued support of our unique “Roundabout” concept allowing us to serve the Buffalo Niagara Region. 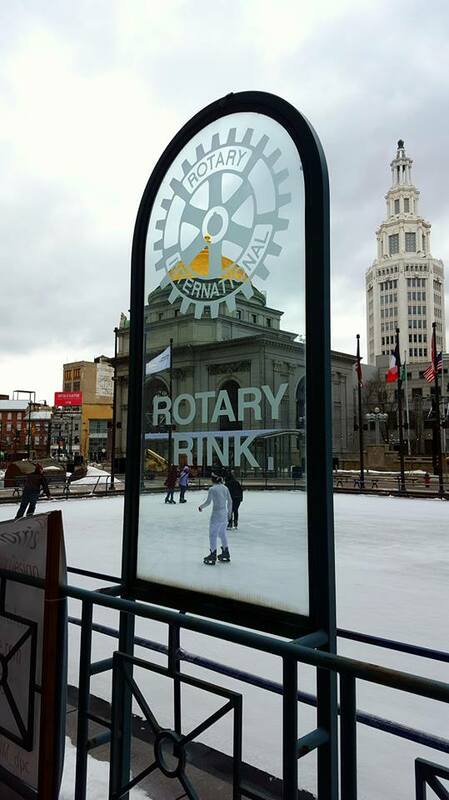 On January 30th the Club will visit Rotary Rink in Downtown Buffalo for our January Social. Check our Club calendar for more information. In December the Roundabout Rotary Club Buffalo Niagara joined Little Match Stick Girl Foundation wrapping Christmas presents for students in the Buffalo area and beyond. Following our wrapping party we had our monthly Club Social at Pano’s in Elmwood Village joined by the District 7090 Assistant Governor. The Roundabout Rotary Buffalo Niagara Club was happy to welcome its Members, friends, and a number of visiting Rotarians from the Amherst Club to Fiero Mediterranean Fusion for our November Social. 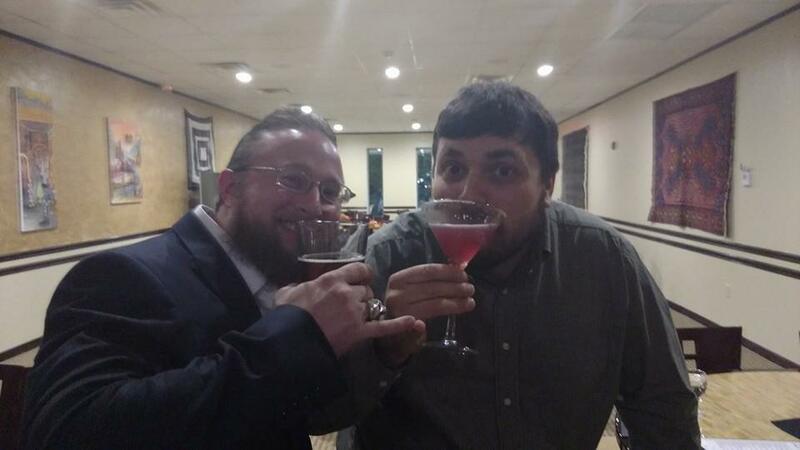 We had a great time, great food and great friendship. The week of Thanksgiving the Roundabout Club will have our monthly Service Project at Kevin Guest House. The Kevin Guest House is a home for the families of patients at Roswell Park Cancer Institute and Kaleida Health at the Buffalo Niagara Medical Campus who need lodging during their family member’s treatments. Our Club will be preparing and serving a meal for those staying at the the House. The Roundabout Rotary Buffalo Niagara will host our November Social at Fiero Mediterranean Fusion on Evans Road in Williamsville. We will have pizza available for Rotarians and friends. We invite Rotarians from all Clubs to join us along with friends and family for this monthly Social. Our next Club Service Project will be Monday November 23rd at 4:30PM at Kevin Guest House. 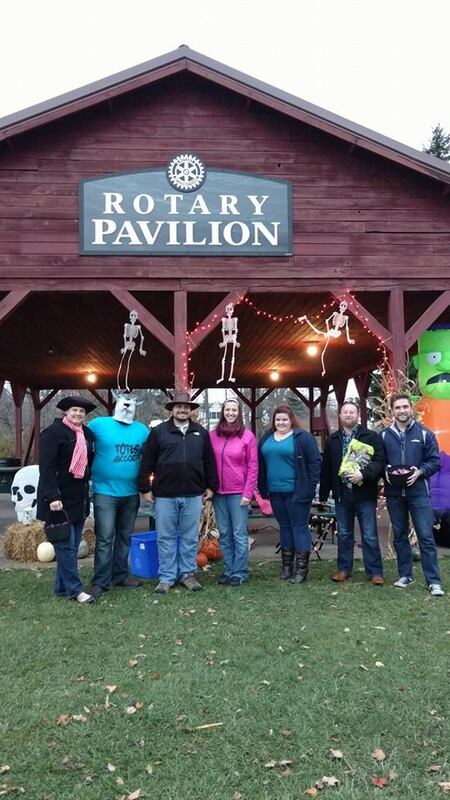 This Halloween season the Roundabout Rotary Buffalo Niagara joined up with the Rotary Club of Amherst to volunteer at the Buffalo Niagara Heritage Village (formerly the Amherst Museum)’s annual Halloween Trick or Treat in their historic 1800’s village. The Club worked at the recently Christened “Rotary Pavilion” which was sponsored and re-roofed by the Rotary Clubs of Amherst and Williamsville. The pavilion was originally built in the 1980’s by the now defunct Rotary Club of Amherst North and was restored by area clubs to continue that Club’s legacy. Members of our Club and friends worked Saturday night (with Amherst taking over Friday) to hand out candy to nearly 1000 children and families who joined this safe trick or treat event. This is the second year the Amherst Rotary has worked this event and they are happy to have the Executive Director of the BNHV as a Member to continue to support the relationship that Club has had with “the Village”. 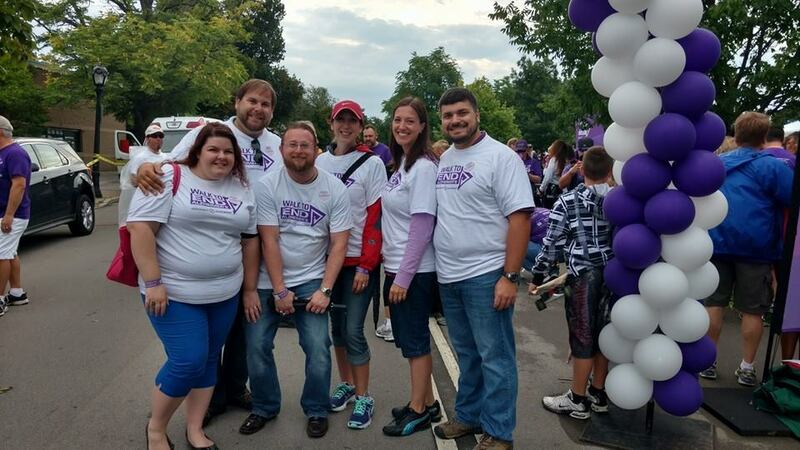 On Saturday September 19th the Roundabout Rotary Buffalo Niagara Club volunteered at the Walk to End Alzheimer’s at Delaware Park in Buffalo. We were happy to have a beautiful day to help out and raise awareness for Alzheimer’s. We were also joined by Erie County Legislator Ed Rath as we greeted those attending the event and passed out maps and information. On Tuesday September 22nd, the Club will host its monthly Social at Liberty Hound in Buffalo’s Canalside at 7PM. This casual event is meant to be inviting to those interested in learning more about Rotary. Our next service project will be Saturday October 24th 6-8PM at theRotary Pavilion at the Buffalo Niagara Heritage Village Halloween Trick or Treat. We will hold our October Social immediately afterwards (8:30PM) at Average Joe’s on Sweet Home Road. For the most up to date information follow us on Facebook.